Curtains can be both decorative and functional, complementing the furnishings in a room and providing a range of outstanding benefits, depending on the style of curtain selected. From blocking out the light which enters a room with blockout curtains to allow as much light in but retaining your privacy with translucent curtains, the right set of made to measure (custom) curtains can transform both the aesthetics and functionality of any interior space. Curtains can soften the aesthetics of a room to create a contemporary or elegant look, and choosing the right curtain fabric design and application is a breeze when you have a wide selection of curtains to choose from. At Image Blinds, we offer custom made curtains and have a large range of premium fabrics, including sheer and blockout, designs and colours to suit all styles and budgets. To help you make the right choices about the custom curtains you buy online, our team of friendly consultants is on hand at our Brisbane and Sunshine Coast showrooms to provide helpful advice and information. Many parts of Australia, in particular Queensland, have a warm or tropical climate for half of the year, which makes curtains a great way to keep the heat out while enabling you to enjoy a view of the outside when you desire. If you reside in a region with cold winters, like Brisbane or the Sunshine Coast hinterland, our specially designed triple weave and suede coated curtains help to keep homes warm and cosy by retaining the heat inside your home. 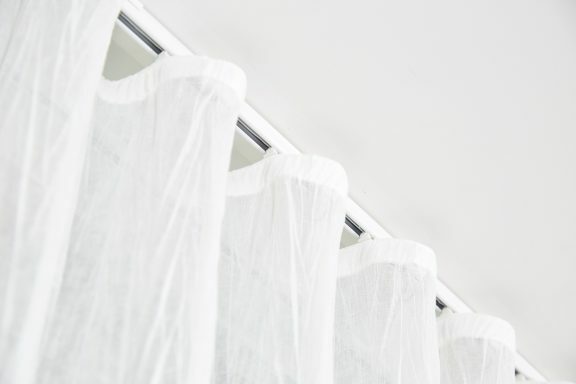 Quality made to measure curtains are an efficient and cost-effective way of insulating windows, reducing the need for artificial cooling and heating to keep you cool in summer and warm in winter. Wave curtains are an exciting contemporary style that is soft, simple and elegant. This curtain style is well-suited to all curtain fabrics, including sheer and blockout fabrics, and you’re assured a perfect fit when your new curtains are custom made by our skilled craftsmen at our Brisbane factory. 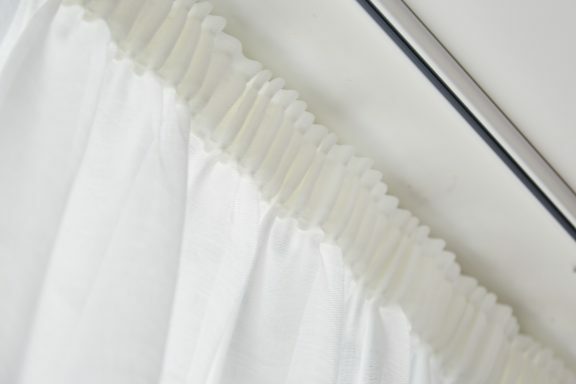 Double Pinch Pleat is an elegant and more traditional type of pleated curtain. Reverse Pleat is a modern curtain style and a popular option in new and contemporary homes. Both styles are a great choice as bedroom, bathroom, living room, kitchen and hallway curtains, and are available in sheer and blockout fabrics. A simple and casual gathered heading can be either a 30mm (used for linings) or 50mm (often used for sheer on rear tracks). As with all curtain styles custom made by Image Blinds in Brisbane, our affordable gathered curtains are available in your choice of fabric, including blockout, translucent and sheer fabrics. Tiebacks on curtains can be made in matching or contrasting fabrics to provide a practical decorative way of holding your curtains back. Along with allowing natural light to enter a room, tiebacks keep curtains out of the way in high traffic areas, like the hall and lounge, as well as kids bedrooms. Our tracks are manufactured with high-quality powder coated aluminium and suitable for both commercial and domestic applications. Depending on your requirements, our tracks may be wall-mounted or ceiling-mounted, and are slim and compact in design. Suitable for pleated, gathered or wave style curtains. 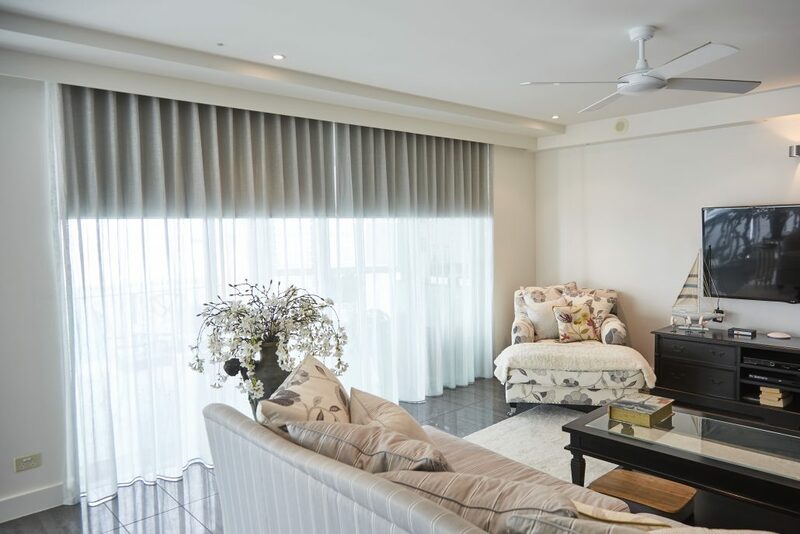 Image Blinds offers a free measure and quote service for customers in Southeast Queensland, including the Gold Coast, Brisbane and Sunshine Coast, to ensure a perfect fit with your new custom made curtains. Book your free measure and quote today!